Lawrence Police confirm that Luis Roman, age 18 of Lawrence and Christopher Perez age 21 of Lawrence were arrested and charged with armed assault with intent to murder and armed robbery in connection with the shooting on November Sunday, 18th on Salem Street in Lawrence. Two people were shot sitting in a car on Salem Street in Lawrence early Sunday evening, November 18th . 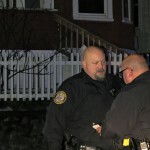 Police were called to the scene near the intersection of Salem and Loring Street for a call of shots fired to find one victim shot in the lower extremities. 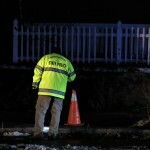 The victim was taken to the hospital where police were told another victim had showed up shortly after the shooting. Sources at the hospital say that both victims are most likely to make it. 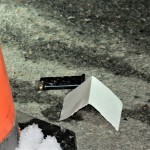 Police found at least three shell casings and a magazine at the scene. Before State and Lawrence police cleared the scene at Salem Street, another call of shots fired came in on Hall and Park Streets. 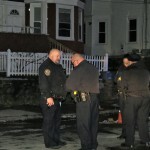 Police did not find any shell casings at the scene but a victim called police during the investigation saying he had been shot or shot at outside a bodega at the corner of Elm and Newbury. No suspects have been arrested. 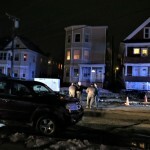 Police are looking for two suspects in the Salem Street shooting who fled towards Loring and Market Street.